Soldiers attached to 144 Battalion, Ohafia, Abia State have arrested Samson J. Enweriji for allegedly being in possession of a day-old baby. Enwereji, 50, is said to hail from Isialangwa South Local Government. The Nation learnt that the suspect was arrested following a tip-off, while attempting to escape with the baby. It was gathered that during a search, the two women escaped from the vehicle, but the day-old baby was found in their abandoned handbag with N84,000.00. Also found on the suspect was N13,000.00, and placenta of a baby in a polythene bag. 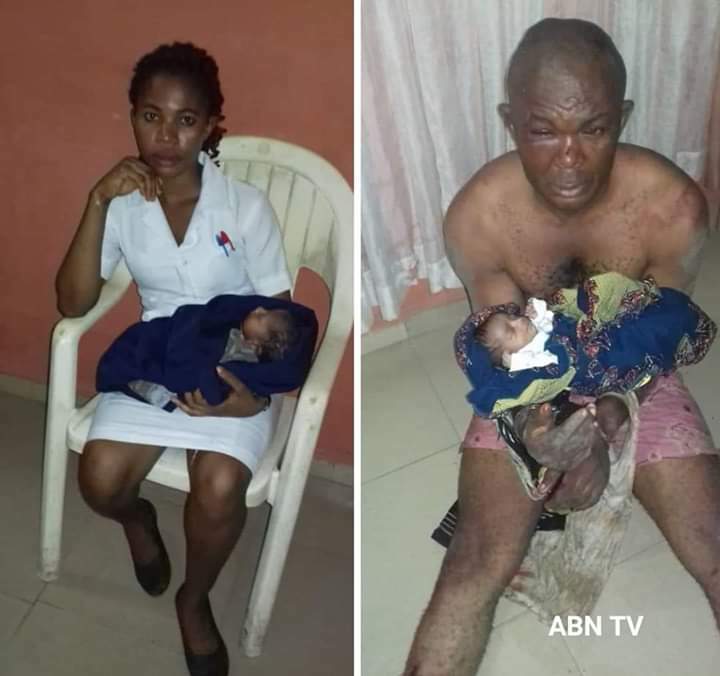 A source said personnel of the 144 Battalion also arrested Miss Franca Bassey, 22, a student nurse from Akpabuyo Local Government Area of Cross River State with a baby.